Robert and Mike Mills of the iconic band R.E.M. took Mills' unique Concerto for Violin, Rock Band, and String Orchestra on tour in 2016-17, playing to sold-out venues along the East coast. Click the photo for a behind-the-scenes glimpse at the tour! Rolling Stone, "Hear R.E.M. Bassist Mike Mills' Dramatic New Rock-Meets-Classical Piece" and "R.E.M. Bassist on 'Breaking Down Walls Between Classical and Rock'"
Diffuser, "R.E.M. 's Mike Mills to Release First Classical Work, 'Concerto for Violin, Rock Band and String Orchestra' "
Aspen Times, "R.E.M. 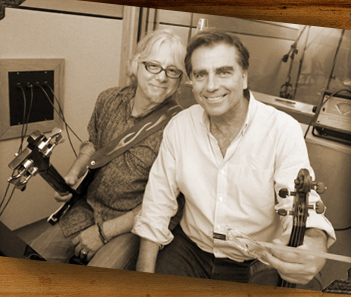 's Mike Mills and violinist Robert McDuffie join forces for classical rock concerto"
ClassicalWorld.com, "Mike Mills of R.E.M. 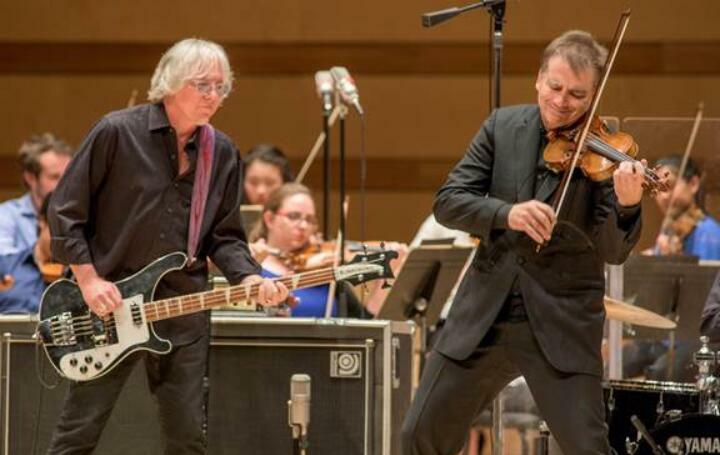 's 'Concerto for Violin, Rock Band and Orchestra' Out This Fall"
Vents magazine, "Mike Mills of R.E.M. 's Concerto for Violin, Rock Band and Orchestra out October 14 on Orange Mountain Music + Fall Tour Dates!" GPB News Radio, "Mike Mills and Robert McDuffie Discuss New Musical Collaboration"
Wall Street Journal, "R.E.M.’s Mike Mills Blends Classical and Rock on Upcoming Album"